Jennifer Mulholland and Jeff Shuck are entrepreneurs, visionaries, strategists, coaches, healers, and parents. They work with people from all walks of life — executives, teachers, doctors, philanthropists, architects, artists — and teams of all shapes and sizes to help them realize abundance in revenue, impact, and fulfillment. Jennifer and Jeff travel extensively around the globe speaking, leading and facilitating individual and organizational transformation. When they are not onsite with clients, they are hosting retreats and workshops at HeartSpace, their retreat center in beautiful Park City, Utah, or managing their engagements from their storefront office in the beach community of Michigan City, Indiana. Today I speak with co-leaders Jennifer Mulholland and Jeff Shuck of Plenty, a consulting business with a mission to “awaken consciousness and inspire idealism”. 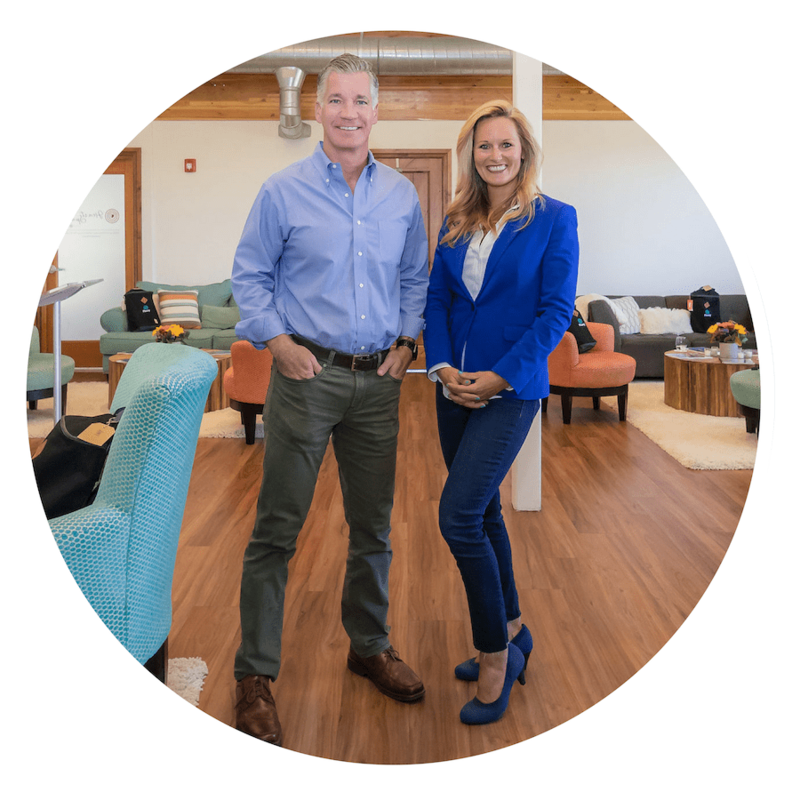 In our conversation, Jennifer and Jeff emphasize the power and importance of humanity in business and speak to the change that occurs when we’re able to show up fully present and fully ourselves. Together, they exemplify how embracing their humanness has strengthened their working partnership, enhanced relationships with clients and team members, and ultimately created space for profound gratitude and self-love.